THE STATE I LIVE IN SUBSIDISES MY COURSE, AM I STILL ELIGIBLE? Depending the course you are enrolled in and what state you reside in, VET FEE-HELP may be available to you. The commonwealth and state governments have highlighted a number of industries where a lack of qualified personnel are being addressed through combined financial assistance. The following Certificate IV qualifications are currently available on a trial basis for eligible residents in NSW, QLD and WA. Enrolment would take place through the state you reside in and, where applicable, the course cost subsidised by Jobs and Skills WA, NSW Smart and Skilled or QLD Higher Level Skills. 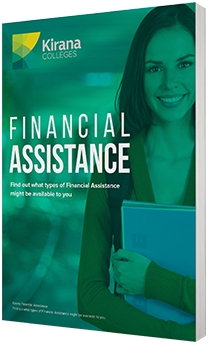 Students who cannot meet the financial eligibility requirements in their state may able to apply to have the cost of the qualification loaned to them through the VET FEE-HELP scheme. For these qualifications students may continue to access VET FEE-HELP income contingent loans, but only up to 31 December 2016. Any course fees incurred following 31 December 2016 can not be covered through VET FEE-HELP. Concession Fee. Am I eligible? What types of study do you offer? Workplace – he delivery of a course where a student undertakes all course work in a workplace setting with an assigned teacher/trainer and assessor. Distance/Correspondence – this refers to the delivery of a course where a student undertakes all coursework through the provision of hard copy learning, teaching and assessment materials. This is a rare mode of delivery and only provided for students who through geographical isolation or similar circumstance have no access to internet, computer, face-to-face or workplace setting. Yes, Kirana Colleges courses are Centrelink approved and are Nationally Recognised Training through the Australian Qualification Framework. What is the LLN and why do I need to complete it? The Acer LLN is an assessment a student needs to complete to be eligible to attract assistance through VET Fee Help. They must complete a Language, Literacy and Numeracy Core Skills Profile. As part of the new Government requirements for VET Fee Help Students, student’s must complete the ACER LLN. Unless you are able to provide the Government Issued certificate. What happens if I don’t meet the minimal requirements for the LLN? We set you up to have a second attempt, if you were unsuccessful in the second attempt we will refer your enrolment to our Course Careers Advisors and they will be in contact with you to discuss alternative option other then VFH. I have a Government issued Year 12 certificate, do I still need to complete the LLN? No, you will just need to submit your Government issued Certificate upon enrolment and this will exempt you from completing the LLN. If I have previously completed the ACER LLN Assessment, can I provide these results to Kirana Colleges instead? If the ACER LLN Assessment was completed in the last 6 months, you will not be required to complete the assessment again, however if your results are over 6 months old, a new ACER LLN will be required to be completed. To begin your enrolment, click on enrolment button below. You will be re-directed to our enrolment page. Is Kirana Colleges a Registered Training Organisation (RTO)? Yes, you may verify our registration through the www.training.gov.au which lists our scope of qualifications. To prepare for the current and future demand for important skills, the ACT government, through the Skilled Capital initiative, has provided a incentive for students residing in the ACT to invest themselves in industries expected to grow. The completion bonus was created so that Students who successfully complete their qualification are entitled to a completion bonus paid directly to them by Skills Canberra. The completion bonus is noted in the table above. DO I QUALIFY FOR A QLD CERTIFICATE 3 GUARANTEE CONCESSION? Employment status does not matter, you can obtain funding and do our course even if you’re working or unemployed. Review the eligibility criteria and when ready begin the application process here. Contact Kirana Colleges for more information. Am I Eligible For The Concession Fee? What is the Difference Between Kirana Colleges and Tafe? Kirana Colleges is a privately run business and network of Registered Training Organisations (RTOs) in contrast with TAFE which is a public RTO. Am I Eligible For A Fee Free Scholarship? Who or What is Kirana Colleges? Operating nationally, Kirana Colleges delivers solutions to people and enterprise development through training, education and related human capital services. We deliver a growing scope of nationally recognised Certificate, Diploma and Advanced Diploma level training and education through our registered training organisations with qualifications in Aged Care, Children’s Services, Community Services, Business, Human Resources, Management, Warehousing and Retail. HOW CAN I SUBMIT A SKILLED CAPITAL APPLICATION? Do you help me find a job after I complete my course? Although Kirana Colleges strive to ensure that students are job ready by providing an industry specific course and support for the compulsory work placement, there is no guarantee of employment upon completion of the course. Can I get into University after I have finished my study? Your Diploma or Advanced Diploma course may have a direct pathway into Universities that have an articulation agreement with Kirana Colleges and carry suitable qualifications for the continuation of your study. Currently Kirana Colleges has articulation agreements with Charles Sturt University and the University of Southern Queensland. Please contact us as articulation agreements are updated frequently. How can I enrol in the queensland certificate 3 guarantee? Kirana Colleges has launched the Student Assistance Program; a program dedicated to providing new and existing students free and confidential counselling services to help with their mental health and well-being. As a joint initiative with AccessEAP (which also runs our Student Assistance Program), aims to help students address an array of life challenges, ideally before they become distractions that affect home life as well as studies with Kirana Colleges. The service will provide access to a dedicated counselling hotline available 24 hours a day, 365 days a year and 3 complimentary face-to-face counselling sessions. What is an offer of admission letter? Yes, providing you speak with your trainer or student support. Kirana Colleges can provide students with extensions to complete their studies, however this depends on the period of leave the student is planning to undertake, and will have to be considered by the trainer. After taking a break from my studies- how do I restart? Contact the Student Support team and they will forward your request to your Training Coordinator to get you started again. What Identification Would I Need to Enrol in a course? What are the benefits in studying with Kirana Colleges? We can offer you a variety of nationally recognised Certificate, Diploma and Advanced Diploma level training and education. We offer courses in a variety of fields, including Aged Care, Early Childhood Education, Community Services, Business & Management, Human Resources, Warehousing & Transport and Retail. Students have access to online portals such as MyKirana which can assist you with forums and blogs and help you interact with other students studying similar courses. Fee Free Scholarship. Am I Eligible? AM I ELIGIBLE FOR THE QUEENSLAND CERTIFICATE 3 GUARANTEE? More info about the queensland certificate 3 guarantee? For more information on this program you can visit the Queensland Government’s Certificate 3 Guarantee web page. For secondary school aged persons not enrolled at school, the maximum certificate course fee chargeable is $420. For Diploma and Advanced Diploma qualifications the maximum course fee chargeable is $7,860. The maximum is the total fee applicable per course. A secondary school aged person means a person who has reached 15 years of age, but has not reached the end of the calendar year in which their compulsory education period expires, as defined in the School Education Act 1999, These persons will be born on or after 1 July 2000. Kirana Colleges recognises that some students have had previous experience and learning whether that be working in the industry or completion of a previous course of study. Kirana Colleges is happy to discuss Recognition of Prior Learning (RPL) to students. Each student requesting RPL will be interviewed and they should provide a portfolio of evidence to support their application and may be assessed on the job. On the job assessments can be conducted to assess current skills and knowledge. How can I withdraw from my course? If you decide you no longer want to continue studying at Kirana Colleges then you can withdraw from the course. Before withdrawing from your program you should speak to a careers advisor to discuss alternative options such as taking leave from your program or transferring to a different course. You can contact the Student Support team and they will speak with you about the reasons why you would like to withdraw and offer assistance for any challenges you may have. If you decide you would still like to withdraw we will go through the withdrawal process. If you then decide to continue with your studies we will not go further with the withdrawal. What is work placement and how does it work? Work placement is a training program that is structured and undertaken in a workplace, it is suited to your training and includes activities and set tasks overtime and under guidance of a professional in the industry. While working in work placement you are required to complete a logbook with your hours and relevant tasks undertaken. Throughout your time in the workplace you will be required to participate in interviews with your work supervisor and trainer from Kirana Colleges. The workplace provides Kirana Colleges the ability to work with you and assess your skills and knowledge that you have developed in the workplace and will allow your trainer to sign off on assessments you can only complete in the workforce. Work placement hours vary depending on the level of the course. Your educator is the best person to discuss your work placement hours with. Before approaching a business that you are comfortable with or one that friends or family have spoken to you about, it is important to speak to you trainer. Your trainer will know when you are ready to start working in your chosen industry and needs to make sure that you have chosen a workplace that meets the requirements. If you are not sure of a place to approach for work placement, speak to you trainer. They will be able to tell you where to start. The length of time you are required to participate in work placement varies between courses. Your trainer will let you know how many hours you are required to do. Does Kirana Colleges find me work placement? Kirana Colleges does expect students to organise their own work placement however support is provided should you not be able to find a suitable workplace. I have forgotten my Student username and password, how do I get them? If you are a MyKirana student you can retrieve this on your own by clicking forgotten password and a new password and username will be sent to your email address. If you are an eLearning student you will need to call student support on 1800 078 839.